Windows (Microsoft) Photos would be a great photo-editing app if there weren’t so many bugs. There are many things going for it, but it seems that, when it comes to stability, this app falls short for many users. One of the commonly-used features is the Photo Enhancer which, as the name says, fixes your photos for you in a single click. But, it seems that this nifty retouching tool stopped working recently. In order to address this, we prepared a list of available solutions and aligned them in the list below. At least one of those should help you address the matter at hand, so don’t hesitate. 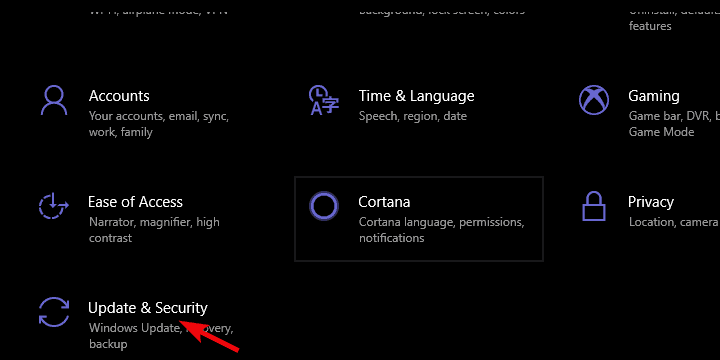 The first troubleshooting step is the built-in part of Windows 10. Since the Photos app is an integral part of the Windows 10 workflow, there’s the dedicated troubleshooter which deals with app issues. The idea was for UWP apps to take over, but even the built-in ones, like Photos and Mail & Calendar, fall short. There the Store Apps troubleshooter comes into play. 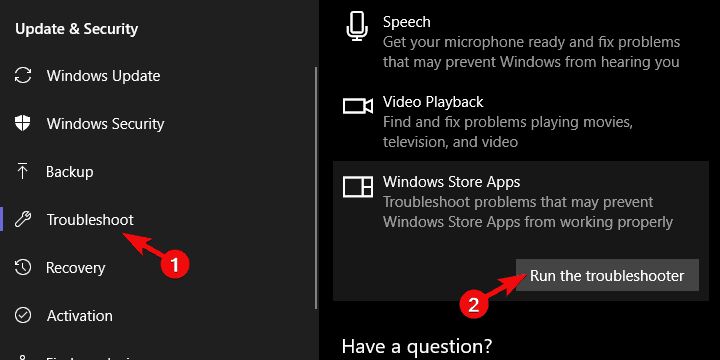 Highlight the Windows Store apps troubleshooter from the end of the list. Click on the “Run the troubleshooter“. The number of times Microsoft changed Photos app since its inception on Windows 8 can barely count. In concerns to the issue we’re addressing today, they removed the automatic enhancement options a few releases back. Now you’ll need to apply this to every individual photo. And even that, obviously, won’t function as initially intended. If this was a minor problem, Microsoft might’ve put it under the rug. However, since there were (and still are) lots of complaints, they had to do something. And, seemingly, they did. That’s why we encourage you to check for the latest updates. In addition, make your way to Microsoft Store and check for updates there, as well. 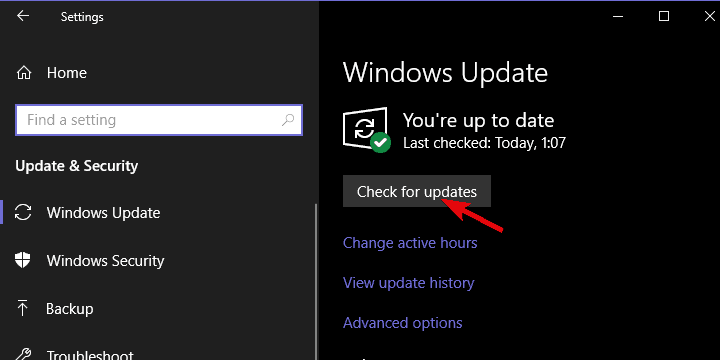 Open Settings and navigate to Update & Security > Windows Update and Check for updates. Wait until the available updates are applied. 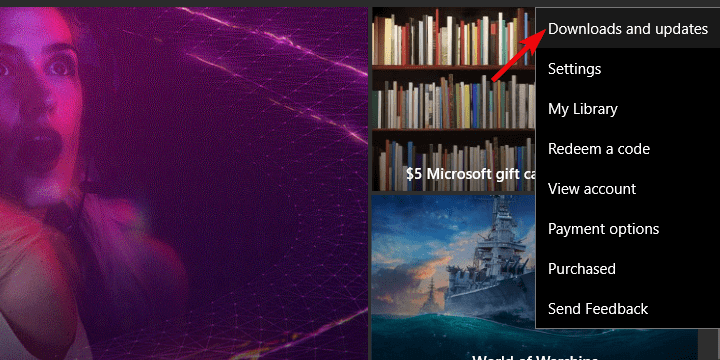 Navigate to Microsoft Store and click on the 3-dot menu. 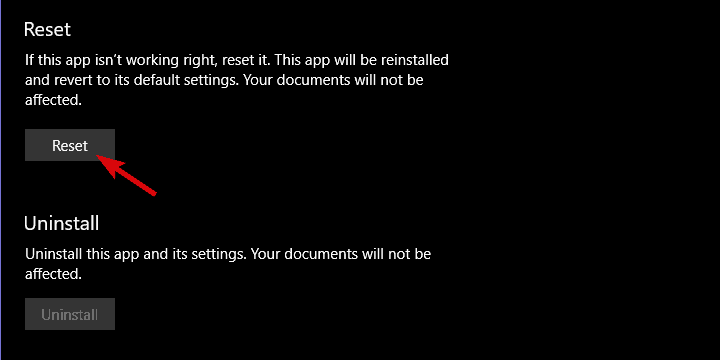 As you’re probably aware, one can’t uninstall the Photo app. It’s a successor to Windows Photo Viewer and the main competition to Google Photos. You can, on the other hand, reset the app to factory values. This won’t meddle with your photos, so don’t worry about it. It’ll just clear all pilled-up cache and, basically, refresh everything as it’s the first time you’re starting the app. Under the Apps & features, search for Photos. 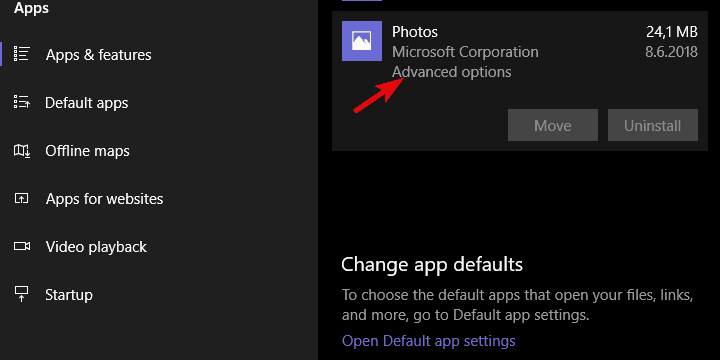 Highlight the Photos app and open Advanced options. Yes, we said you can’t remove Windows Photos. But that doesn’t exclusively mean the app can’t be reinstalled. Of course, this requires a more complex approach than the previously suggested solution. 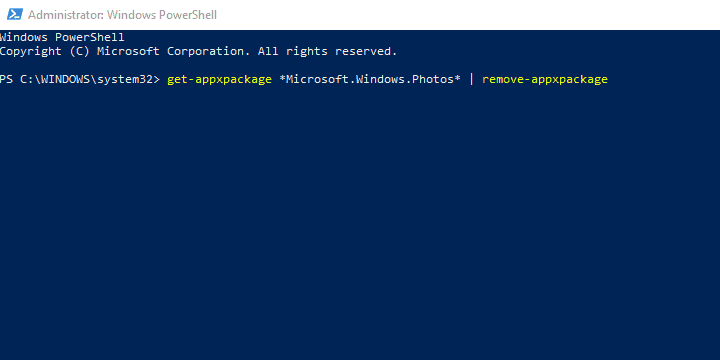 In order to reinstall the Windows Photos app (or any built-in app, for that matter), you’ll need to use PowerShell. Right-click Start and open PowerShell (Admin). Wait until the app package is reinstalled and restart your PC. Open Photos and check the Enhancing feature again. If we have to name one distinctive advantage Windows Photos bring is the direct access to cloud storage. Of course, here we refer to Microsoft’s-own OneDrive. You can, without downloading, access all photos stored in OneDrive. However, there are some reports that this causes the slowdowns and additional issues with Windows Photos. 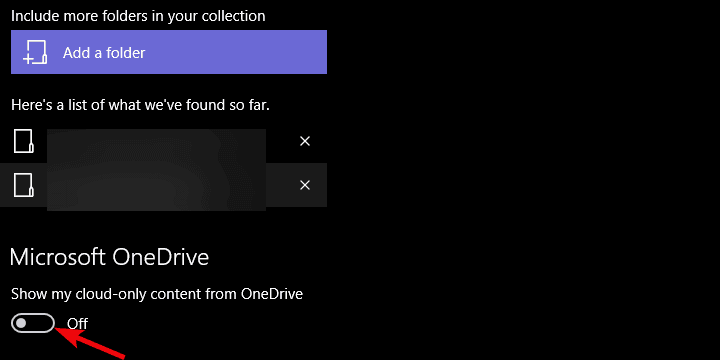 Especially if you’ve changed the default OneDrive locale on your PC or the photos are only online-stored. 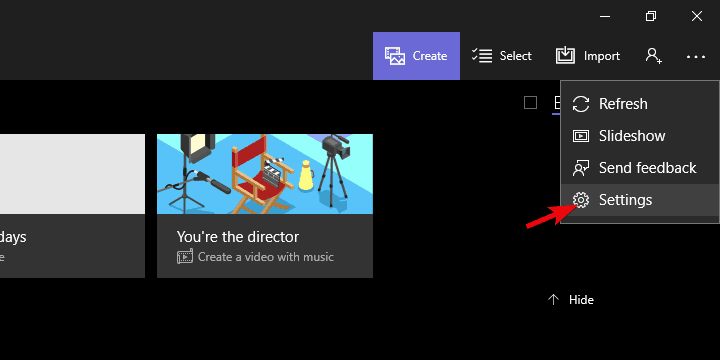 Under the Microsoft OneDrive, disable “Show my cloud-only content from OneDrive“. Close Photos and restart PC. Open Photos again and check whether the Enhance feature works. Finally, if you’re fed up with the inconsistency and lack of stability in Windows Photos, we suggest checking out on alternative options. There are so many alternatives when it comes to batch photo editing. We’re aware that the concept of the unified ecosystem with built-in tools is great, but Windows Photos is just a subpar in comparison to third-party applications. Especially when the breaking points are filters, retouching, and automatic enhancement. Make sure to check the list of best photo-editing tools available for Windows 10. In case you’re aware of an additional tool, make sure to tell us in the comments section below.